When your parents get to a point where living on their own is difficult, the choice to move into a retirement home is not easy. Some people love the idea of a built-in dining hall and a busy social schedule and some people just want to stay in their own home. Your parents would love to have you move in, but they don’t have room. You’d love to have your parents move in, but you don’t have room either. Should you sell both houses and buy another that’s big enough for everyone? That’s an option, but many people don’t want to move, so what they do is hire a general contractor in the Brentwood, Concord, Contra Costa County area to add a parent suite to their home. 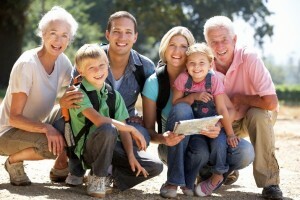 There’s a huge variety of options when it comes to choosing what kind of space to add for your parents. Some people only need to add a bathroom, and some add a whole wing with a bedroom, a bath, and even a kitchen. Make the dreaming and designing stage fun. Change can be stressful, but after you find your budget, the process of deciding with your parents what would be the most comfortable design for them and choosing colors and accessories should be an exciting time. Do you have the space and budget for an extra office or hobby room for them? Are they bringing everything they own or paring down their furniture? Spend some time dreaming before you make decisions. In addition to your parents’ new digs, they might need a few other changes made around your house, as you probably won’t be exiling them to their suite. As a general contractor in Brentwood, Concord, and Contra Costa County, we can add a ramp to the front or back door, add railings to stairs, or add safety features to your other bathrooms.